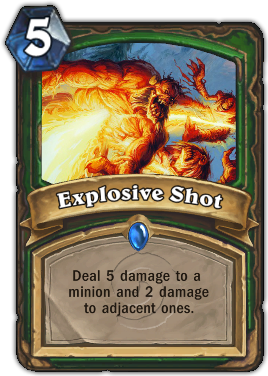 Description : Deal 5 damage to a minion and 2 damage to adjacent ones. Quote : Pull the pin, count to 5, then shoot. Then duck.